Today in Masonic History Ermes Effron Borgnino (a.k.a. Ernest Borgnine) passes away in 2012. Ermes Effron Borgnino (a.k.a. Ernest Borgnine) was an American actor. Borgnine was born on January 24th, 1917 in Hamden, Connecticut. He was the son of Italian immigrants. When he was just two years old his mother moved with him back to Italy when she separated from Borgnine's father. They lived there for four and a half years before Borgnine's parents reconciled. After the reconciliation the family settled in New Haven, Connecticut. The family name was changed from Borgnino to Borgnine when they moved to New Haven. Borgnine graduated from James Hillhouse High School. In school he was active in sports, but showed no interest in acting. After high school, Borgnine joined the United States Navy for six years. He was honorably discharged in 1941, just before the United States entering World War II. When Pearl Harbor was attacked in 1942, Borgnine re-enlisted and served on an antisubmarine warfare ship patrolling the east coast of the United States. He was honorably discharged a second time in 1945. After the Navy, Borgnine returned home to Connecticut and, in his own words, didn't know what to do. He worked briefly in a factory which he did not like. One night, out of the blue his mother suggested that he go into acting. He decided to give it a try and ended up working as an intern at the Barter Theatre in Abingdon, Virginia. He appeared in a couple of plays in the theatre before getting his first job on Broadway by 1949. By 1951, Borgnine began appearing in films. His first big movie role was in From Here to Eternity in which he played the sadistic Sergeant "Fatso" Judson who beats up a prisoner in his charge played by Frank Sinatra. In 1955, Borgnine won a Best Actor Oscar for his role in the film Marty beating out his former co-star Frank Sinatra and James Dean for the award. Also in 1951, Borgnine began receiving television roles as well. His appearances on television would last until 2009 when he had his final role on the last episode of the show ER. For the role he received an Emmy nomination. His most iconic role was in McHale's Navy. With Borgnine in the title role, the show began in 1962 as an hour long drama. It was quickly changed to a half hour sitcom with Tim Conway as one of the supporting characters. The two would keep in touch over the next 40 years. Conway and Borgnine would reunite for several episodes of the animated Nickelodeon series, Spongebob Square Pants. The pair would lend their voices to the recurring characters of Mermaid Man and Barnacle Boy. Borgnine passed away on July 8th, 2012 from kidney failure. 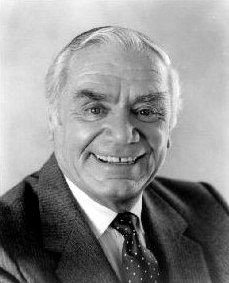 Borgnine was a 50 year plus member of Abingdon Lodge No. 48 in Abingdon, Virginia. He received his 50 year pin in the lodge in 2000. He was also a member of the Valley of Los Angeles, joining in 1964. He was coronated a 33° Scottish Rite mason in 1983.